In this field, the vast page between my brother’s silence and my vigil ear, a voice balanced on a tuft of grass; a seedpod dragged up a whole field behind it’ silique drifted into soliloquy. Many of my favourite pages of this collection are in the third section, ‘SWARM,’ collecting undersized facsimiles of Still’s collage works on looseleaf paper. 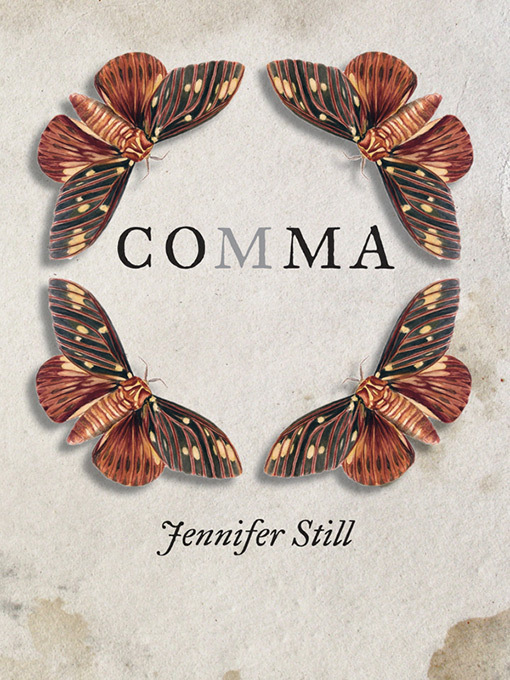 Sentences are glued onto the page (“The poem is self-adhesive,” Still writes elsewhere) in visual allusion to the regurgitative work of nesting birds and insects, symbols of domicility analogized by visual proximity to the anatomical heart and its chambers. 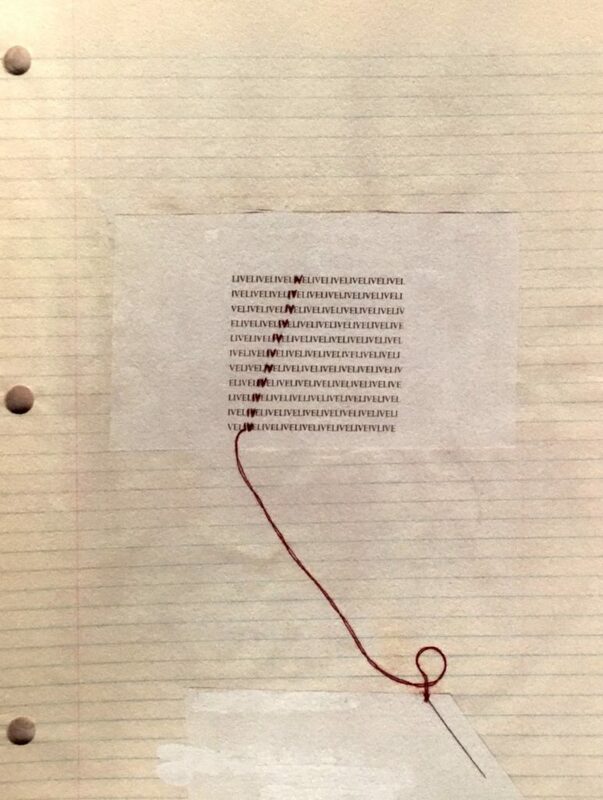 Still employs needle and thread throughout these tactile poems, her line literally passing through the page, as in the poem photographed below, where a bolt of red intersects the script of a murmured benediction, ‘LIVE,’ as an IV threads a vein. 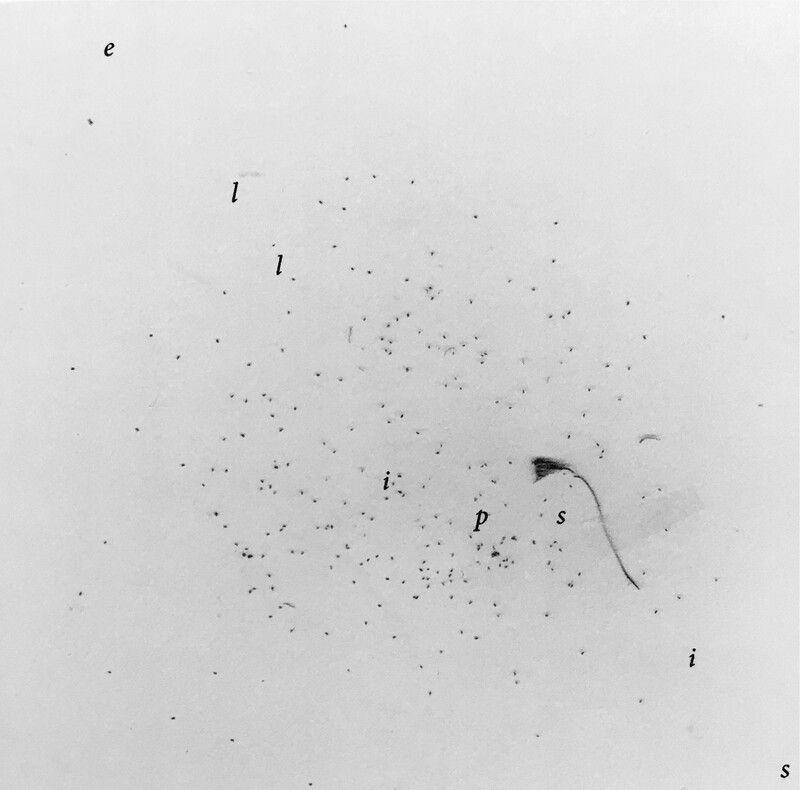 To end then on a pencilled swarm, or spittle of a living breath, with an ellipsis, is to affirm the basis of poetic thought in the inarticulate that is supposedly its limit; in those signs of life exceeding scripture, in the pause promising more; in the miniature event, a spark.